turns and Spring is just around the corner. The Celts called this holiday Brigid’s Day or Brid’s Day (pronounced Breed’s). The Imbolg was the ancient Celtic festival celebration the birth and freshening of sheep and goats and was also called Oimelc meaning ewe's milk. This is a time of great anticipation and the celebration of possibilities. New life is about to awaken in the earth; the earth is becoming ready to receive the seeds. February 1 is the feast day of the primary Celtic Goddess Brigid. Her legends were not written down until century's after the time of the Christian Saint Brigid. Saint Brigid was an Irish abbess who lived in the fifth and sixth century C.E. Many legends are told about Brigid. She is one of the Tuatha de Danaan, and some legends say that she is the daughter of the Dagda. Other legends imply that she was his consort, not his daughter. She is also said to have loved Bres the Beautiful, the ruler of the Tuatha de Danaan. Interestingly Bres is said to be half Fomorian. The Fomorians were giants that lived during the time of the Celts in and around the British Isles and they were the rulers of Ireland before the coming of the Tuatha de Danaan. Scientific evidence supports the idea that the Fomorians were actually the last remnants of the Neanderthal people. The Fomorians and the Tuatha de Danaan were at war over the possession of Ireland. Brigid and Bres became lovers and had a son called Ruadan who was part Danaan and part Fomorian. Brigid became a bridge between the two warring tribes and as her aspect of mother-goddess, her main concern was the future well-being of Ireland. Brigid is a triple Goddess of poetry, healing and crafts. As a healer, she taught leechcraft and herbal craft. She also was a patroness of sacred springs and wells that were said to have healing properties. Offerings to the watery Brigid were cast into the well in the form of coins or, even more ancient, brass or gold rings. Other sacrifices were offered where three streams came together. Her Cauldron of Inspiration connected her watery healing aspect with her fiery poetic aspect. Brigid the poet was the Celtic equivalent of the nine Greek Muses. She was invoked by bards whose travelling entertainment preserved the spiritual wisdom, clan lines, myths, songs and stories of the Celtic people. Brigid the Smith ruled the mysteries of metalworking. In ancient times people who could work metal seemed to work magick, they used fire to transform stone (ore) into metal then transformed the metal into weapons. Metalworkers were seen to have mastery over fire and matter and the secrets of their trade were not shared with the uninitiated. Brigid Corn Dolly – a very old custom involved making a "Brigid" corn dolly that can be placed in a "Bride's bed" to bring fertility and good fortune to the home. If you made a "Corn Mother" at Lammas, you may simply re-use it. Dress the Corn Mother as a bride in colours of white, red and or gold, and your Harvest Crone transforms herself into the Brigit Spring Bride. Place the Bride in a "Brigit's bed" along with a priapic wand to symbolize fertility. A priapic wand is a be-ribboned fruitwood wand with a pine cone on the end which symbolizes the God. Brigid's Bed – to show your hospitality and to encourage the Goddess to spend the night at your home, create a "Brigid's Bed" near the hearth fire. 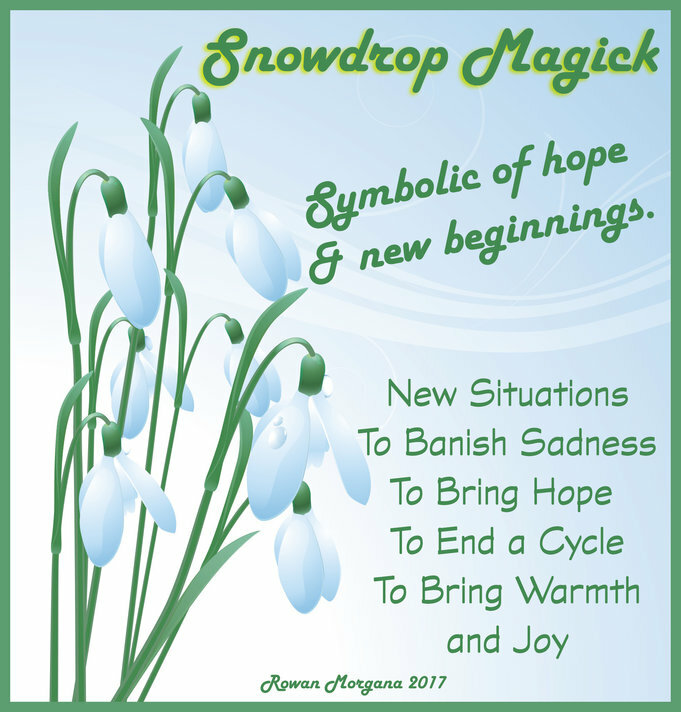 By inviting Brigid to stay overnight in your home you're symbolically asking that her powers of fertility, blessing and healing be with your family all year long. A Brigid's bed can be a pretty wooden or cardboard box, a wicker basket or anything large enough to hold your Brigit corn dolly. Be sure to decorate it with ribbons, flowers, herbs etc. and place a comfy blanket on the bottom of the bed. Don't forget to place the priapic wand in the bed so that the Goddess will not be lonely. Hearthfire – the hearth fire is sacred to Brigid and is her altar in every home. At Candlemas, in the depth of winter, the fire was more important than ever. It was not allowed to go out and in the evening the fire was smoored ( covered with ash to preserve the hot coals) by the lady of the house. Be on the household all. Brigid's Crosses – are a form of woven straw or rushes symbolizing the Sun and used as talismans to bring fertility, prosperity and protection to the home. They would be created at Candlemas and hung on the door, near the hearth, under the eaves or in the barn to bring luck and protection. Burning the Yule Greens– the evergreens for Yuletide decoration are gathered and burned by Candlemas. It is a symbolic way to let go of the old year and make way for the new. Red and White – white symbolizes snow, red symbolizes the hearth fire, red and while may also symbolize the ewe's birthing blood on the snow. White is the colour of the Maiden Goddess and Red the colour of the Mother Goddess. White stands for purity, red for courage. Herbs - Angelica, basil, bay Laurel, blackberry, celandine, coltsfoot, heather, iris, myrrh, snowdrops, tansy, violets, and all white or yellow flowers. Incense - Basil, myrrh, frankincense, wisteria, jasmine, camphor, cinnamon, and lotus.